TL;DR version. A gtmcb parameter is a setting used in a Custom Image Tag. It’s basically a random number which is added to the image pixel every time it is loaded. And you do not have to configure it because it is a default functionality. Continue reading to learn more. P.S. if you still find hard times understanding what a gtmcb is, read this guide about Custom Image Tag. When you revisit a website, the browser checks which content was updated in the meantime and only downloads updated files or everything that is not already stored in the cache. This reduces bandwidth usage on both the user and server side and allows the page to load faster. Faster page load time, yay! Sound awesome, right? For the end user, yes. For the marketer/digital analyst/conversion specialist, not always. If you didn’t use the cache busting, your Custom Image Tag would work only the first time it loads. On the second loading attempt, no data would be transmitted to the receiving server. Why? Because the image would be already saved in the cache and would be loaded from browser’s internal storage instead of an external server. This means that newest data will not reach the target, e.g. Facebook Pixel’s server. So what’s the solution? Well, image’s URL must be unique every time it is loaded and that’s where the Cache Buster comes in handy. Cache Busting Query Parameter (gtmcb) is a function which returns a string of random numbers every time a Custom Image Tag fires and adds it as a query parameter to Image URL, e.g. https://www.pixelreceiver.com/track?parameter1=usa&gtmcb=1199950751. Every time a gtmcb is called it returns a different value, thus Image URL will always be different (which is good because you’ll avoid browser cache). So what should you do regarding the a gtmcb parameter in Custom Image Tag settings? Nothing, actually. Leave it as it is. Google Tag Manager recognizes this function and automatically adds the unique number to the Image URL. How Can I Test Google Tag Manager with gtmcb? 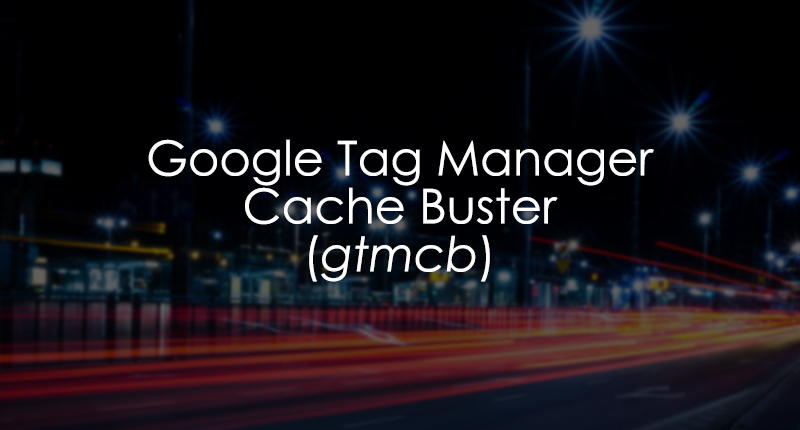 The entire testing workflow is explained in a much more comprehensive guide about the Custom Image Tag where gtmcb (Google Tag Manager Cache Buster) plays an important role.